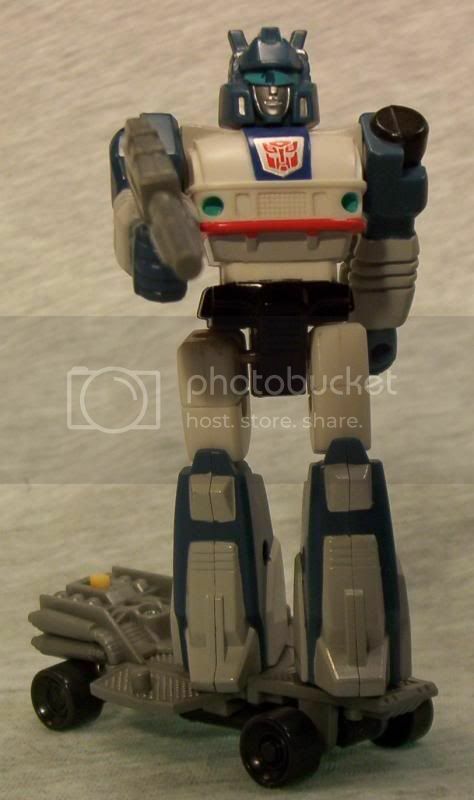 Action Masters yay or nay? Discussion in 'Transformers Toy Discussion' started by VictoryLeo19, Mar 27, 2008. I used to own Skyfall and Treadshot. Never any of the vehicles though. Not sure myself. I really don't want to but I got two friends who are really into them. 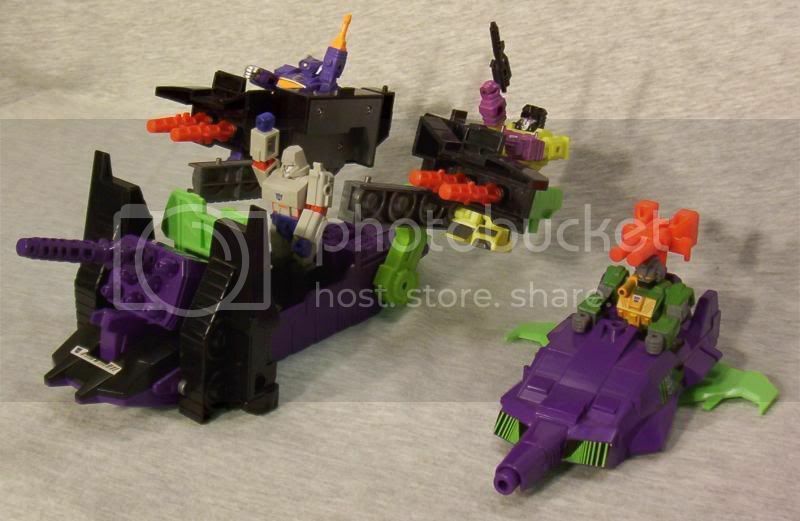 If anything, I would at least want Megatron and Optimus. And them some other random characters. I'm sure as hell will not get into the UK stuff. Way too expensive for those toys. Banzai-Tron and Jackpot are pretty damn cool. Jackpot is even in the TFCC comic. I sold the rest of my AM's. 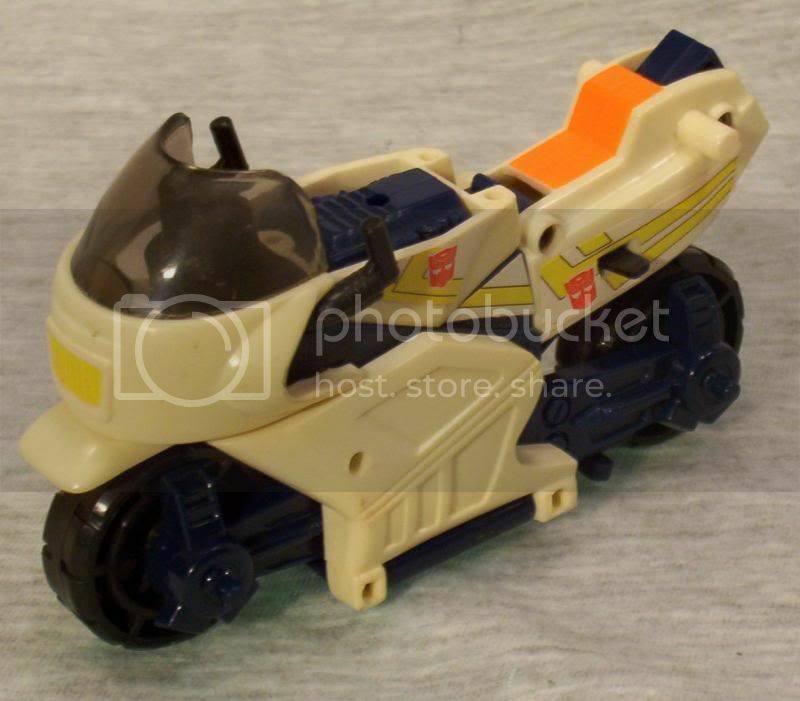 Action Masters were a fun line. I've got most of them - the only ones I'm missing are Grimlock, and a few of the late Euro-exclusive ones that disappeared before I had the cash - Bombshell, Sideswipe, Charger and Powerflash. Their nay-sayers' usual complaint is that for their lack of transformation they gained very poor articulation, considering they were supposed to be 'super-posable'. But they were far superior in articulation to pretty much anything we'd had before. It was just the fact that G2 came so soon after, with both transformation and ridiculously good articulation, that showed them up in a bad light. There are quite a few people who love AMs a lot. I'd recommend checking out Custom Masters - this guy soups up existing characters, makes ones that never happened, creates new characters, and even creates custom ones to order! You know I've never really been that big a fan of these. 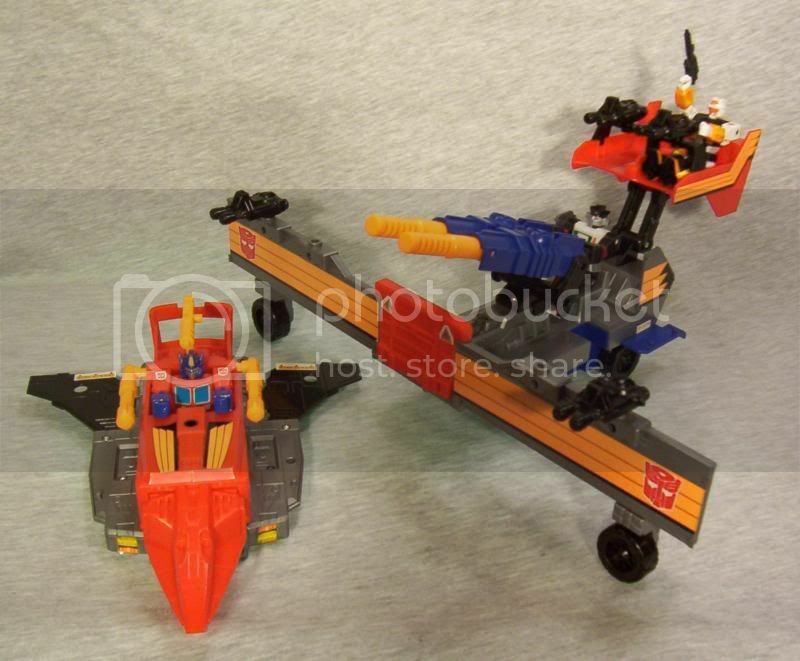 However if you said micro-masters then I would have been like hell ya. I think they're decent, pretty cool when grouped together. I like the animated look they have also. without all thew kibble, just pure character. Was'nt to crazy about the gimmick back then, but I think it stood up to the test of time pretty well. They maybe more fun now than ever. Maybe it's becasue Im more into toys with more accessories now, without perfect transformations. 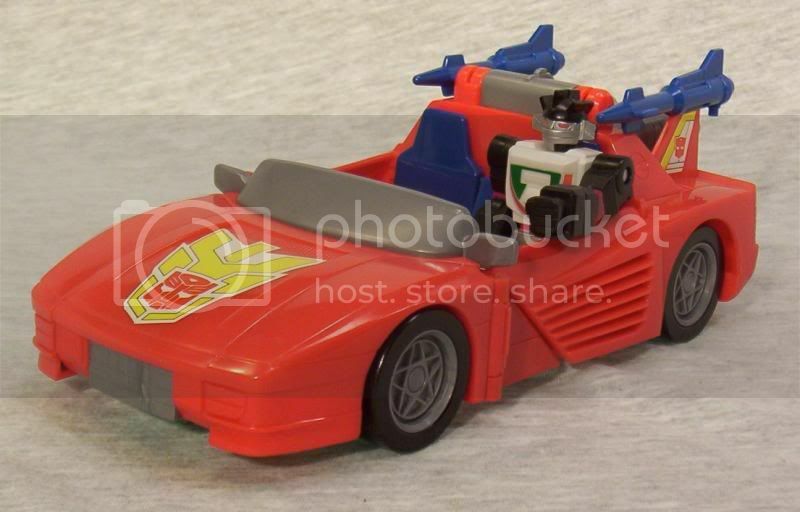 It's a transformer...that transforms into a car...driving a car. 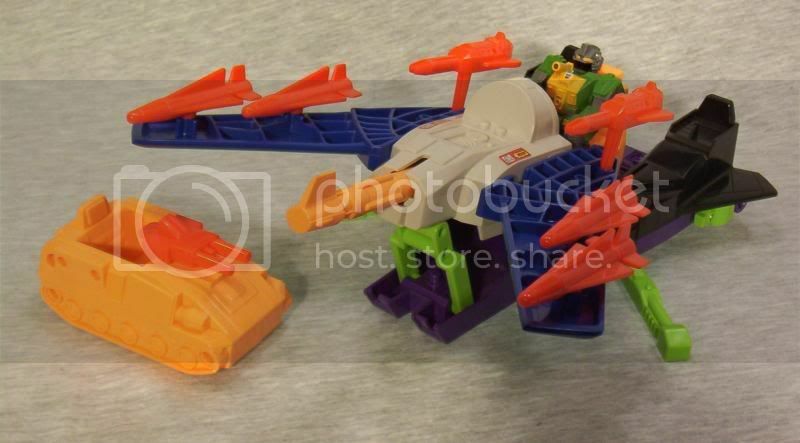 I'd say AMs have been made largely redundant thanks to modern toy engineering that allows us to have posability AND transformation at the same time. At least, they're supposed to be posable. How about some AM photos showing off just how posable they are? They don't look quite as bad to me now as they did when I was a kid. I can say the same thing about the Pretenders too. 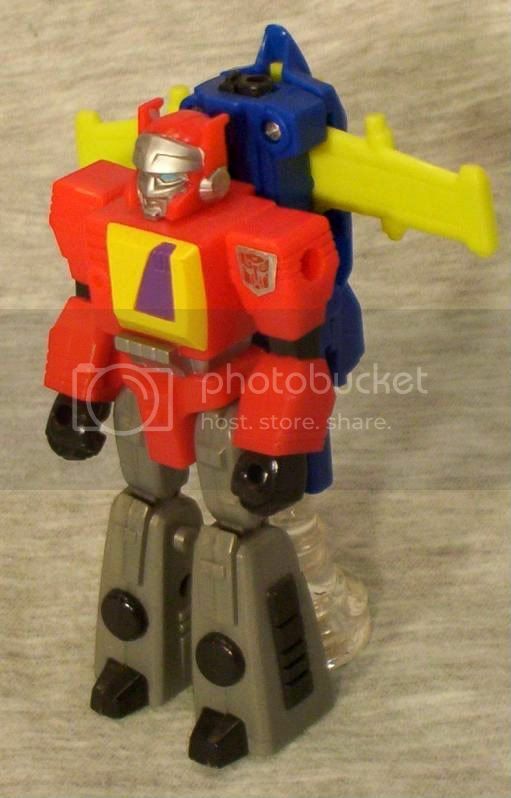 I think I had Bumblebee and Jazz action masters back then. Yay to Action Masters! I have them all. 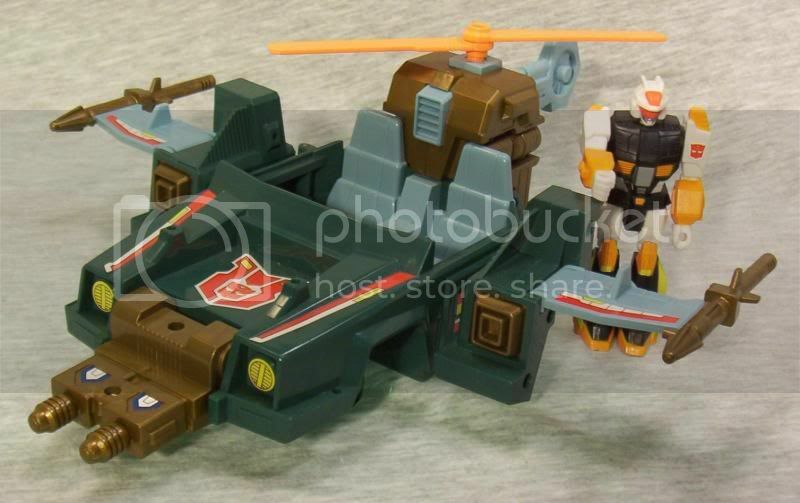 (I stayed with the US/UK G1 until the bitter end) Since they don't transform, they are not my favorite 'Transformers' but a long way from the worst. I've got all of them except a couple. I really like them. There was no other way to have cartoon/comic accurate versions of these characters back then. 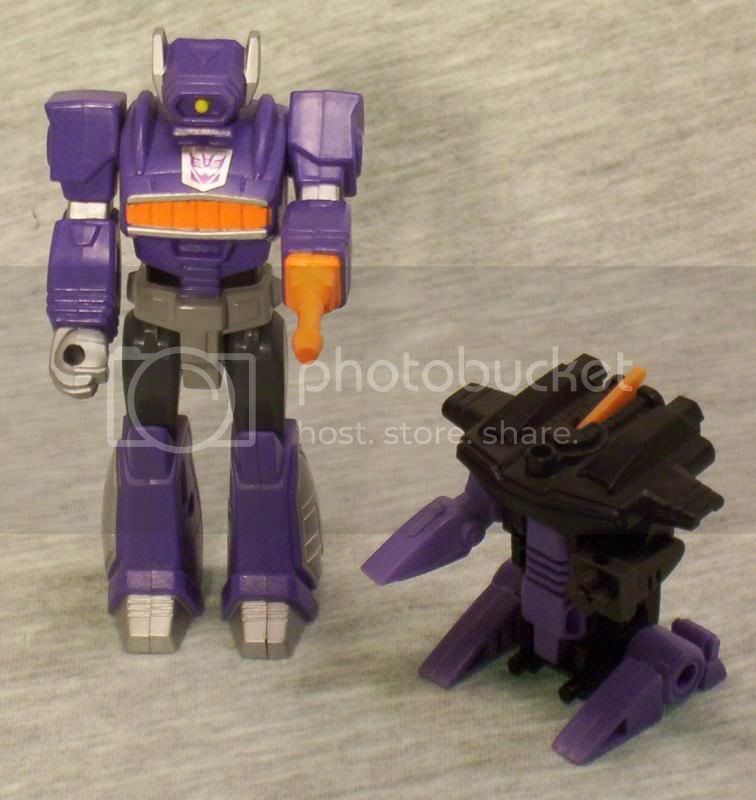 Shockwave was definitely my favourite, but many of the G1 core characters score highly with me from this set too. 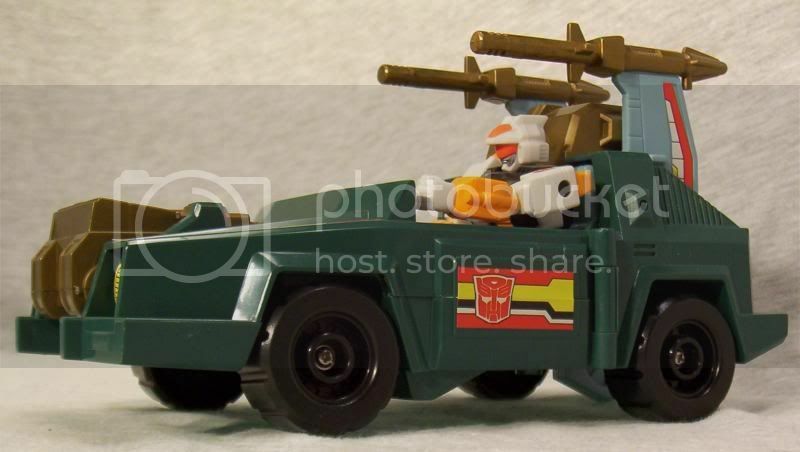 Action Masters can be fun. I currently have AM Shockwave in my "scale battle" display. This display involves the WST releases, regular sized Metroplex, Trypticon, Omega Supreme, Classics Astrotrain, Robot Masters Victory Saber, the K.O. mini dinobots, and a few other random things. Shockwave might seem out of place with the WST's at first, but once he's trapped in Omega Supreme's claw, he seems about the right height. I like to use the Action-Master-specific characters as filler in any battle scene, really, as I haven't really read any of the Marvel comics they were in, so I don't have any preconceived notions of what size they are supposed to be compared to the well known characters. I would like them more if MegaSCF/Revoltech didn't exist. I do like the GIJoe approach, with size standards and lots of accessories. I'd love to have that range of characters done in Revoltech style. 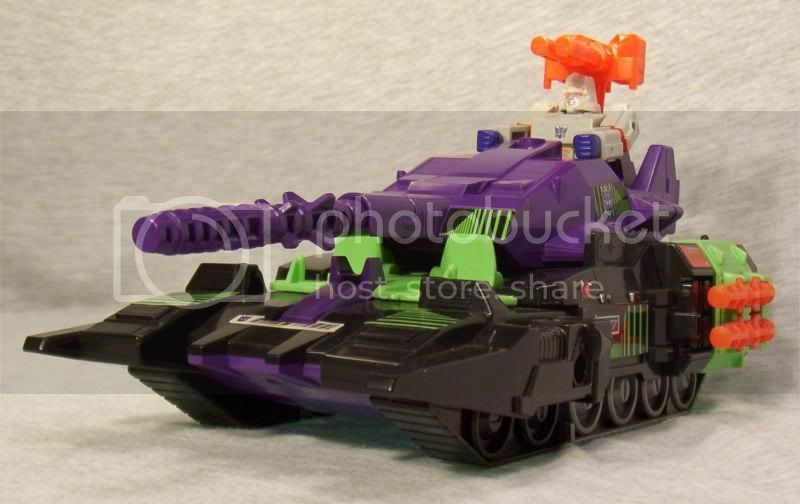 I've just got Snarl, but it's pretty cool. I've often thought it would be cool to at least get some of them at some point. I'm definitely saying "Yay!" 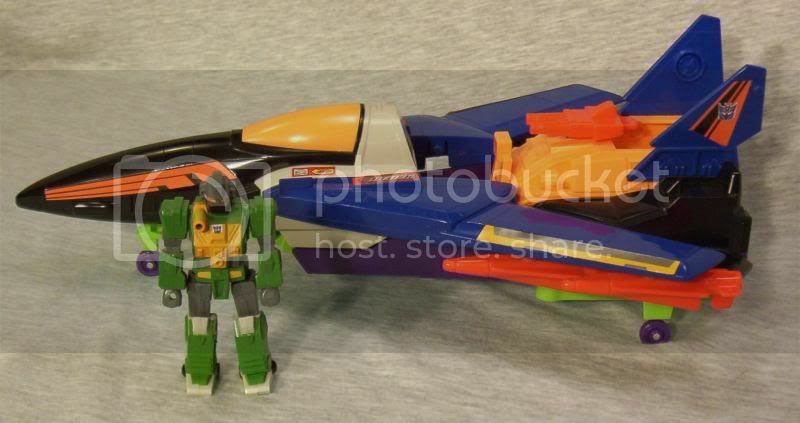 It's like M.A.S.K. and Transformers all rolled into one! That and because of a lot of folks hating them like the plague, prices for most of them aren't bad at all. They're not really that poseable by today's standards. The head turns left to right, the arms move backwards and forwards, the knees bend, and the hips have bi-directional articulation (handy for mounting them on bikes). 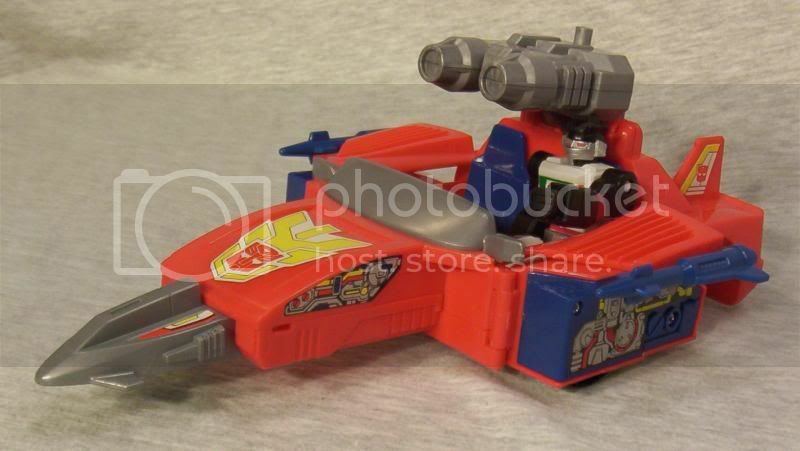 But they were pretty darn action packed back in the day, when we were pretty well used to robot modes with solid blocks for legs. That's actually quite a nice idea. 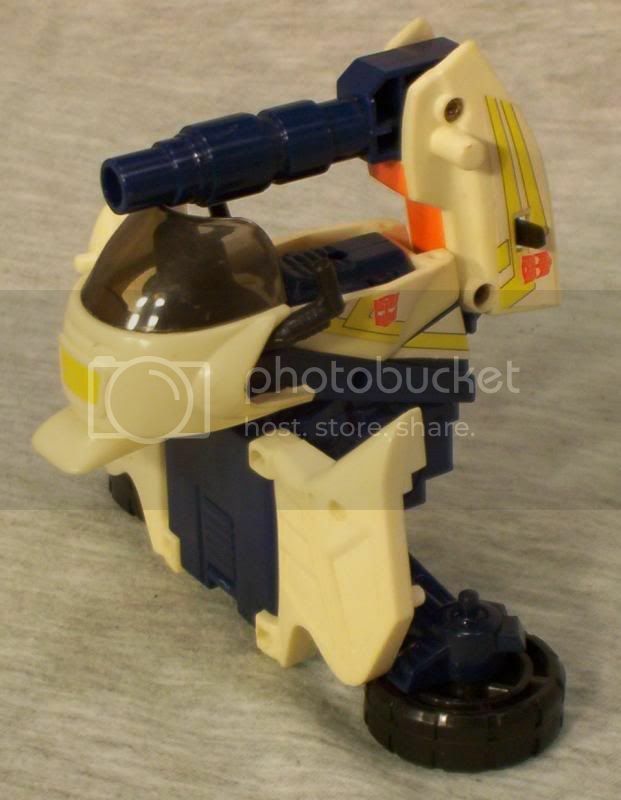 How well it'd do, I'm not sure, since as we said earlier, it's possible now to produce high-articulation transforming figures. To be worth bothering with, they'd have to be pretty low cost, relatively. What to Revoltechs go for, anyway? 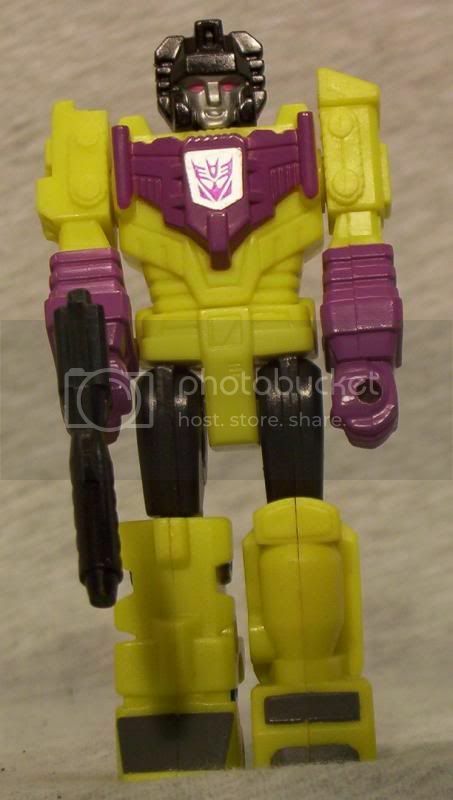 AM Snarl's getting some love lately too - he was also in the TFCC Games of Deception comic - actually, it took me a while to remember that Tyrannitron (who we didn't see, but was apparently causing havoc on the ship) was not one of the new Minicons, but his AM partner.